Is paying $7.69 for a salad the smart choice? And I rarely sneeze less than three times. Not fun. Atchooo! Hahaha. This is funny! Awkward, but sometimes people just make funny sound when they sneeze (without boogers, of course) and you can’t help but laugh! I’m totally impressed. This is exactly what happens. HILARIOUS!! By the way, some people just can’t sneeze once. With my dad, a single sneeze comes with an additional 30! I know how you must’ve felt.. seriously. You’re welcome, my friend. You are not crazy for being able to smell sneeze because that would make me crazy as well and I’m 87% sure that i am not. Oh the memories.. I used to cover my nose when someone sneezed, and when I’d tell them why, they would look at me funny. Haha! 1 time i was playing computer and my mom was on the other computer doing work, then my mom sneezed 3 times facing towards me. Her sneeze was wet sounding like “HA-Eschhooo!” i felt this spray of spit and it was disgusting. Then i smelled it, it was horrible and her sneeze smelled so strong i didn’t want to be in the room anymore. I asked her why is there suddenly a musty smell. She replied, “Sorry it was just my sneeze. 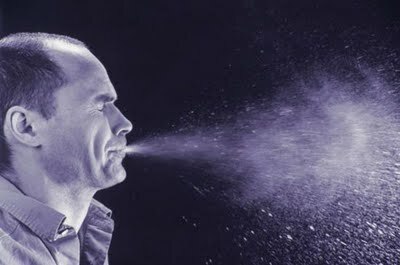 Whenever you sneeze make sure you cover your mouth unlike me i sprayed.” But after these months i hear her when she sneezes she doesn’t cover her mouth and it bothers me, all the germs and that smell. Please help me what should i do? I usually don’t cover when sneezing and i didn’t know that sneezes actually smell. The first time i realized it was when my husband was at work and me and the children were in the car. I sneezed about 3 times and sprayed a fine mist of my own spit. Ew. i smelled a musty smell and the smell filled up the whole car, my children could smell it as well. They asked me what that smell was and well i thought it was my sneezes. I told them roll down the window to get the smell out and that was pretty horrible for me and a bit embarrassing. Because my children in school, they write about what happened yesterday and all those things. They might mention my sneeze. So i researched and found this… anyway thanks.